Tom Cleverley spoke after his sides 2-1 victory over Crystal Palace at Selhurst Park. Tom Cleverley came on and scored the winner in Watford's 2-1 win over Crystal Palace at Selhurst Park on Saturday. Cleverley is still coming back to first-team football after, as he put it "a long hard year." Cleverley has been on the mend since receiving surgery on an Achilles tendon injury, he sustained back in July 2018 which followed a hamstring problem that kept him out from January 2018 to June 2018. The former Manchester United man, spoke after the game about how he is progressing to be back to full fitness and how far he feels Watford can go this season. As previously mentioned, Cleverley has had a hard year and the midfielder reflected on it by saying: "It's been a difficult 11 months or so personally for me, the injury, the surgery and the long rehab but those moments like today make the long road worth it. "All the hard work paid off and hopefully, I kick off from here and most importantly we got the three points for the lads today. It's always tough to come here." 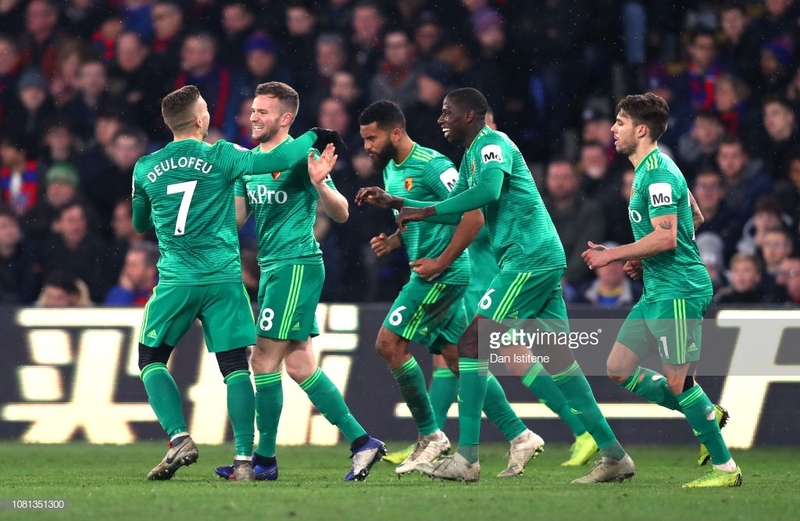 Cleverley did come on for Ken Sema after 68 minutes in the game and within six minutes, he was scoring the winner from a corner and it was some finish, volleying into the top left corner and leaving Palace keeper Wayne Hennessey no chance. The Englishman was asked about the goal and he said: "It was definitely a great way to get back on the scoresheet, it was just mentioned to me that only two times Watford have come back and won, I scored both times and its nice little stat to have." Cleverley spoke out how much he appreciates being back out there after being out injured for so long saying: "There were some real low points and feeling like you have no purpose and stuff like that, but it makes you appreciate every single day, being out there training and competing every day." Watford face Burnley at home next week and Cleverley was asked how the side go forward from such a great result against Palace. He said: "Like I said previously, there is no complacency in the side this year, we want to go on a run and finish as high as we possibly can and we know next week will be very tough, they're in good form and we have just got to perform ourselves"